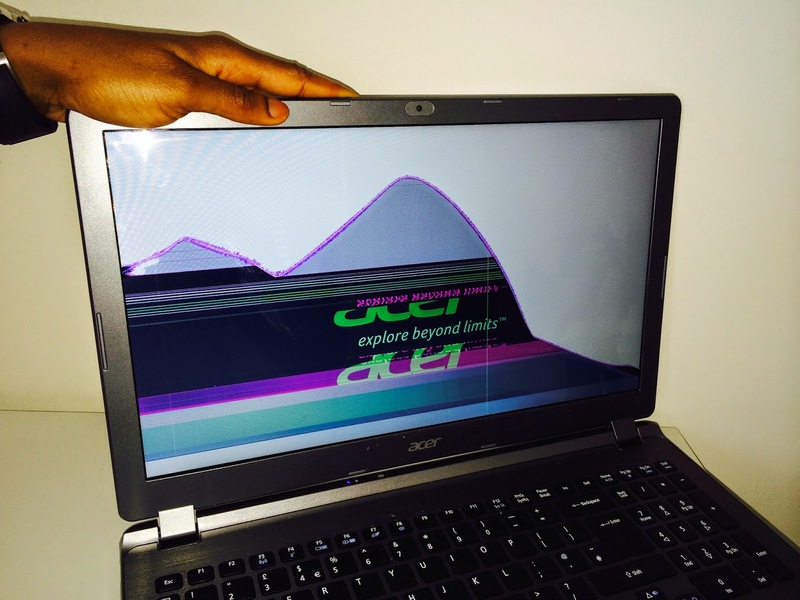 Acer Aspire E5-571, E5-571G, V5-571, V5-571G Laptop Screens are now the most popular screens most affected and broken when dropped from a small height. Laptop screen companies have confirmed the delicate LED screens to be fragile and needs to me used with more care than the previous models. 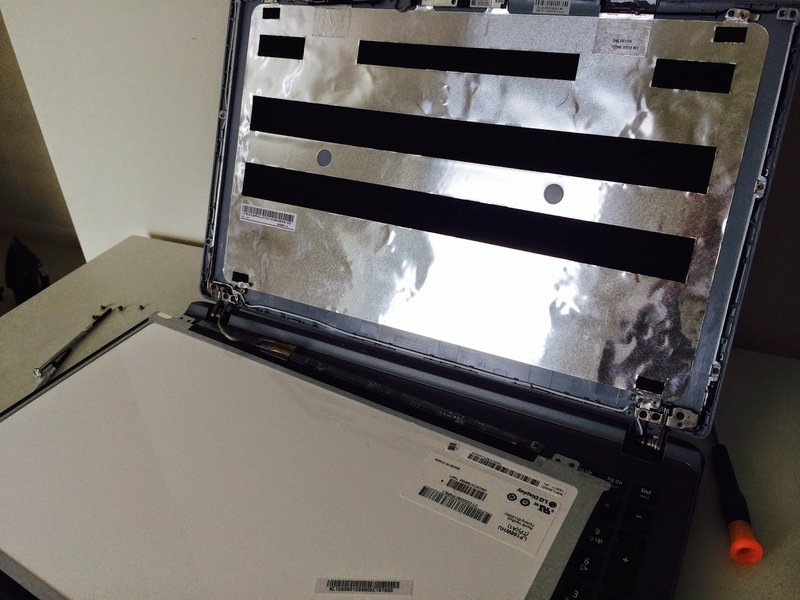 In this blog I will outline how you can get a replacement screen for your cracked or broken Acer Aspire E5-571, E5-571G, V5-571, V5-571G Laptop and replace it yourself. After receiving the screen you need to take the battery out of the laptop. You must not try to fit the screen while the battery is still in the laptop. The next thing will be to simply remove the bezel by putting your finger in the plastic bezel and pulling carefully. The bezel will release with a small pull. 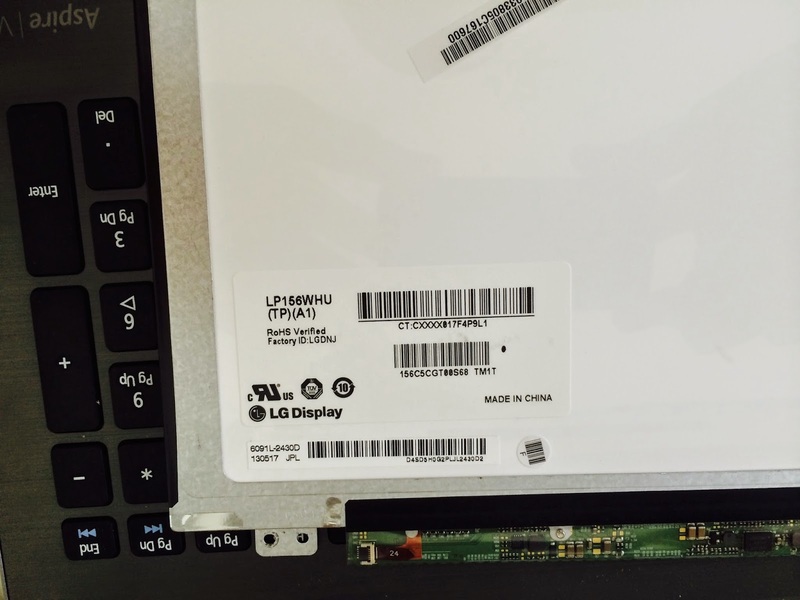 Next is to simply unscrew the cracked broken screen from the laptop itself and place it facedown on the laptop. You can put a sheet of paper on the keyboard to make sure that the screen does not touch or scratch the keyboard or keypad during the repair. 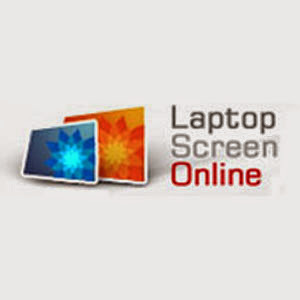 At this point you will be able to identify the type of screen you need. The screen part number can be seen clearly on the back of the screen depending on the maker of the screen. Laptop screens are not manufactured by Acer, rather they are made by companies like Samsung, AUO, LG, Chi Mei and other reputable screen companies. Carefully peel off the cable holding down the screen cable and disconnect the screen cable from the LED screen. This must be done carefully so as not to damage connection. At this point you have successfully removed the screen from the laptop. Simply do the reverse to re-install with a new screen. Leave your comments below and I will be able to answer your questions.